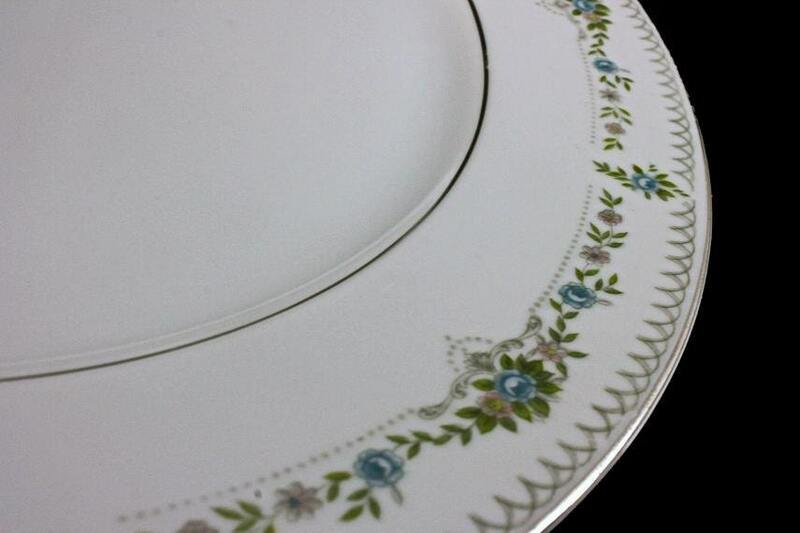 This is a gorgeous round platter/chop plate made by Japan Delux in the Renee pattern. 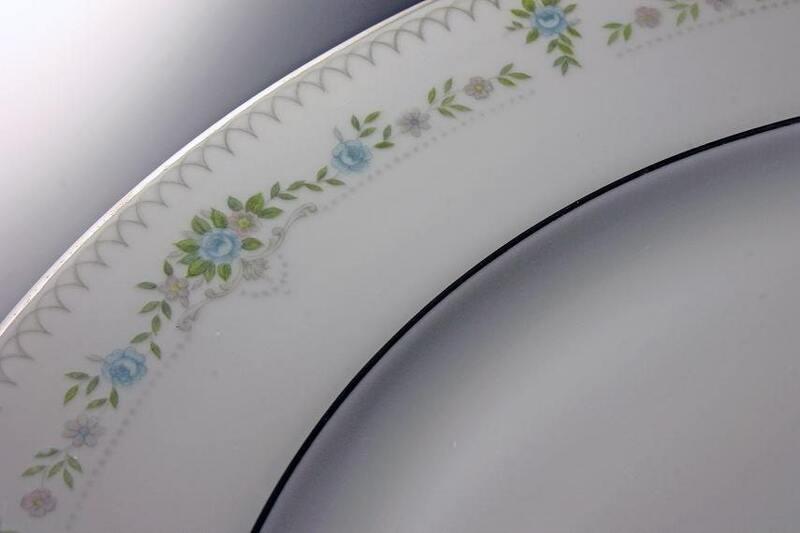 The pattern consists of blue and pink flowers around the border and two silver lines. 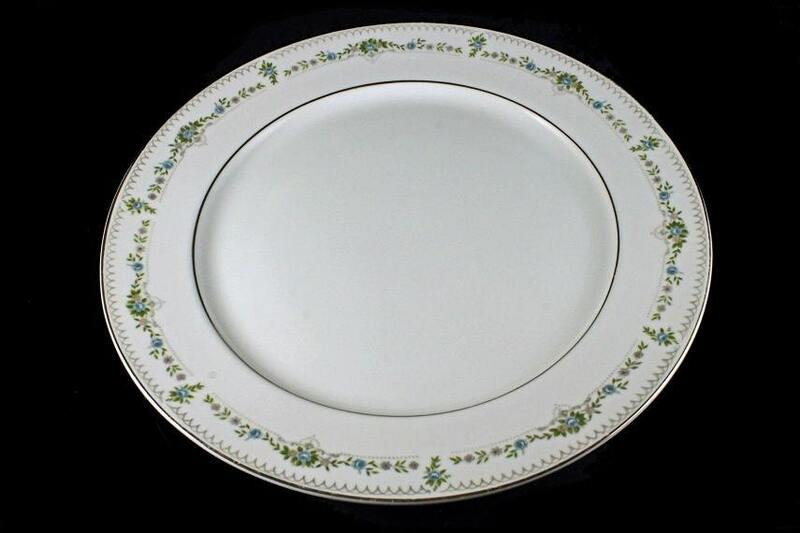 One line around the center of the platter and one on its rim. The platter is white. This platter would look lovely on any dining room table, buffet table, or sideboard. It is a wonderful serving dish. 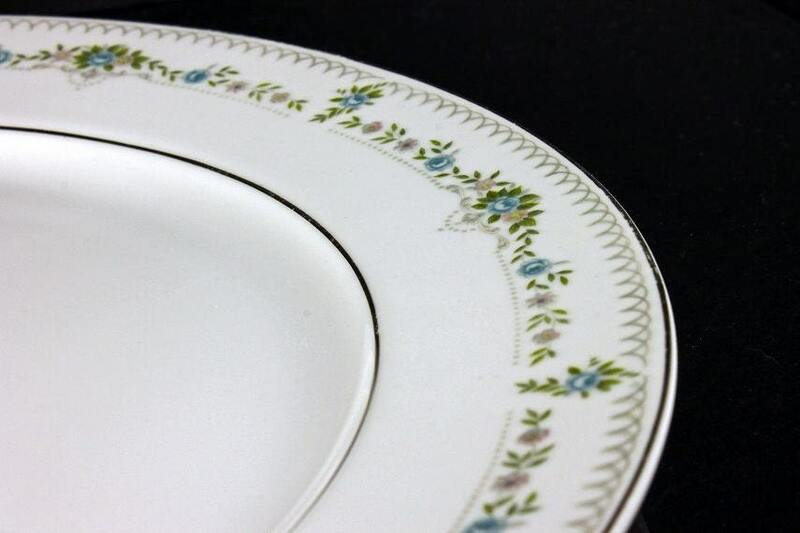 This vintage platter is in excellent condition. It shows just the slightest signs of wear. 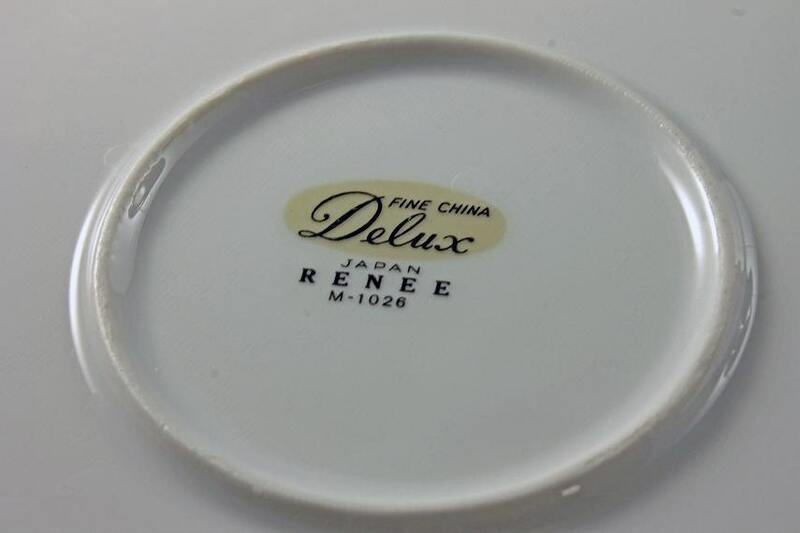 There are rub marks on the outer silver line on the edge of the platter. There are no cracks, chips, or crazing. This would make a great wedding shower, wedding, hostess, or housewarming gift. Treat yourself and entertain in style.